Written by: Other Writer on April 10, 2019. What’s next for US-North Korea denuclearization negotiations? It is common for movie critics to say the sequel is not as good as the original. And many diplomatic critics will judge that the second installment of the Donald Trump and Kim Jong-Un widescreen bromance fell short of expectations. Having failed to produce any agreement, the Hanoi summit did not even exceed the low bar set by the Singapore summit, which at least produced some common commitments and a specific deal on the return of the remains of American soldiers. But that does not mean the Hanoi summit cannot contribute to progress between the United States and North Korea. 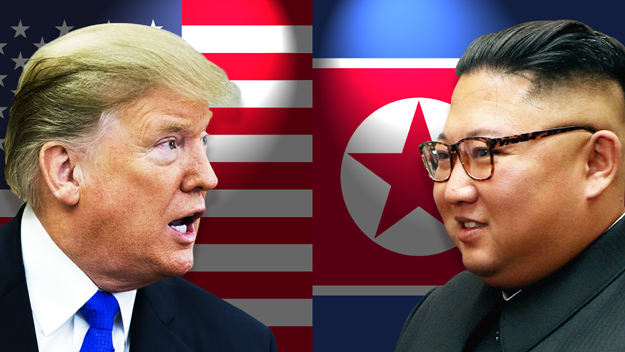 The second summit between the US President Donald Trump and North Korean leader Kim Jong-Un was held on 27-28 February in Hanoi with much less fanfare than the first one held in Singapore in June last year. The summit ended without any agreement in what is being termed as a big setback to both parties. This failure was definitely a disappointment to all those who believed that both Trump and Kim would carry forward the expectation generated by the Singapore meeting. But, unfortunately, both leaders ended their summit on the second day and also chose not to issue a joint statement on the summit. Both leaders had different goals in mind going into the summit — Trump wanting complete denuclearization of North Korea’s weapons and Kim hoping to lift the harsh sanctions imposed by the United States on North Korea. The deal was met with contention over the details, as Kim reportedly requested a full lift of non-weapon sanctions in exchange for shutting down Yongbyon, a North Korean nuclear facility. However, Trump said a full lift of sanctions was not within the best interests of the United States. Without a consensus with Kim, Trump walked out, ending the summit earlier than anticipated. For Trump, Hanoi Summit could bring some realistic lessons on how to deal with Kim effectively without hampering the prospects of denuclearization of the Korean Peninsula. Though it would be tempting for Trump to show some substantial diplomatic achievement to his people who would soon be in an election mode, he says, “We want to do the right deal. Speed is not important”. Many will agree with him that it is better to have no deal than a bad deal. US Secretary of State, Mike Pompeo, however, is quite optimistic when he says, “We are anxious to get back to the table so we can continue that conversation that will ultimately lead to peace and stability, better life for North Korean people and a lower threat, a denuclearized North Korea”. The essence of the summit failure lay in the fundamental disparity in their approach to negotiations and the mismatch of offers from both sides. From the beginning, the North Korea insisted on a phased, synchronized denuclearization process. The US side recently seemed willing to accept that approach; however, in Hanoi, President Donald Trump apparently sought a “big deal” that would provide an agreed scope and a general roadmap to denuclearization. North Korean leader Kim Jong-Un was simply not ready for this kind of deal. He offered verified dismantlement of the Yongbyon nuclear facilities, consisting of more than 300 buildings, in trade for a major lifting of sanctions. If Kim had thought he could get what he wanted based on the supposed good relationship between Trump and him built through mutual flattery and “love letters” or based on an assessment of Trump’s domestic political needs, he was wrong. The US offers of incentives such as ending the Korean War or setting up liaison offices or a bright economic future for the North were not enough for the North to give up the Yongbyon facilities, which constitute a major portion of the North’s nuclear programme. Beyond Yongbyon, the North is believed to be operating more nuclear production sites, producing enriched uranium to make more nuclear bombs. Kim’s proposal did not mention what he would do with his nuclear weapons and ballistic missiles or chemical and biological weapons. North Korea would prefer that any disposition of such weapons of mass destruction will only come in the last phase of denuclearization. If the North will really give up its nuclear weapons, it would happen only when it is convinced that it can survive without them. However, it is encouraging that both leaders parted in a friendly mood with a hope to resume their talks without specifying dates. Although there was no agreement for when to meet again or how to pick up the talks from where they left off, there are clear indications from Washington and Pyongyang that both sides want to continue their negotiations. Some argue Trump’s “friendly walk-away” was not a summit failure because he chose no deal over a bad deal in the security interests of the United States. On the other hand, though Pyongyang has not closed its doors to future talks, many in the official circles in North Korea worry whether Kim will continue to maintain the same interest and mood to pursue talks with Washington. Perhaps, when the dust settles, a working level dialogue will start again. The “top-down” diplomacy has been tried, but unlike for the first summit in Singapore, President Trump appeared to have listened to his advisers in Hanoi to reject the unbalanced small deal. The failure of the Hanoi Summit has drawn varying responses from South Korea, Japan and China, which are the closest neighbouring countries of North Korea. As for South Korea, President Moon Jae-in is the one who has been connected with the whole process of US-North Korea dialogue process. Though disappointed by the failure of Trump-Kim meeting, he is quite keen to keep the dialogue process on. He stated that his administration would closely communicate and cooperate with the US and North Korea to help their talks reach a complete settlement by all means. Moon believes that the progress of the Inter-Korean relations would very much depend on the kind of talks that are going on between Washington and Pyongyang. Moon stated that Seoul would consult with the US on ways to resume joint projects with North including tourism, development at Mount Kumgang, and the Kaesong Industrial Complex. Shinzo Abe is the only prominent leader who has not met Kim during the last about two years when the Korean scene has been unfolding. Several Japanese security analysts believe that no deal is better than a bad deal offering concessions in the nuclear field to North Korea. Many fear that given Trump’s unpredictable nature, he might even concede some compromises to Kim in order to show diplomatic gains to his people. Japan is truly concerned that its own security would be seriously endangered as long as North Korea does not agree to denuclearization. It, therefore insists on complete, verifiable and irreversible denuclearisation of the Peninsula. Going by its own past experiences with Pyongyang in the six-party talks, Japan insists on the need for obtaining a full declaration of all nuclear and missile facilities in North Korea. Many Japanese security analysts also fear that Kim’s definition of the denuclearization of the Korean Peninsula would also include the removal of the weapons system developed and maintained by the US in its owns military bases in South Korea and Japan. In addition, Japan also wants the North Korean government to settle the long pending issue of Japanese abductees still believed to be living in North Korea. Prime Minister Abe is reported to be keen on having his own summit with Kim to discuss the abduction and security issues. Finally, the failure of the Hanoi Summit has given considerable relief to China, which feels that as long as the US-North Korea talks remain deadlocked, its own role as a key broker will continue to be unhindered. And there are reports that Kim is likely to visit Beijing very soon for consultation. This post has been seen 460 times.